Here's a question- if you have a child, what would happen if you told your kid every single day that they are ugly, their legs look terrible, no one will ever love them, and they aren't good enough? Do you think your child will feel very good about themselves? This is exactly what a lot of women (some men do this too) all the time when they look in the mirror. If you don't have confidence in your own body image, how will you ever be happy, or find a way to optimize your own health? These are the questions and topics that Jason Seib has no problem discussing. In his business, he works primarily with about 90% females, and even lives in a household full of women and young girls. He gets to watch these interactions within the female mind as an outsider looking in. His goal is to create an environment for his daughters and other young girls to grow up not judging themselves so harshly, and be able to instill positive thoughts into their minds when they see themselves in the mirror. Body awareness and weight loss are big talking points in the world today. What Jason has found that in order to reach the point of sustainable weight loss, it first needs to come from confidence within yourself, and truly understanding your motivation for weight loss. If your motivation is only coming from an extrinsic factor, you will fail. We go over how to be successfull in this episode of Body Image for Women with Jason Seib! Continue this conversation with the younger generation. If you run into ways to reinforce this message with the younger crowd that is successful or not, please send me an email. Jason and I want to find the best way to reach the toughest crowd, which are kids and females in their early 20s. 15:35 – What if we told a child every day they are ugly and are a disappointment, that would destroy a child. Why is it we do this to ourselves when we look in the mirror? Thank you for listening to this episode of the Summit For Wellness Podcast. 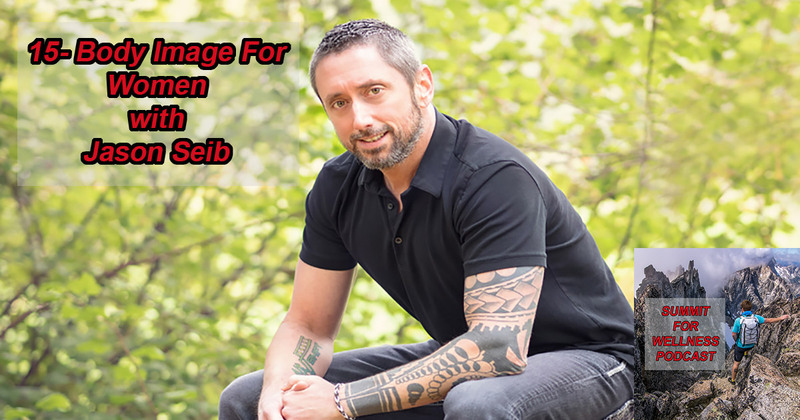 If you enjoyed Body Image For Women with Jason Seib, then subscribe to our channel so you can listen to all the latest episodes.